This is the symbol for Aries, and it represents a few different aspects about the sign. 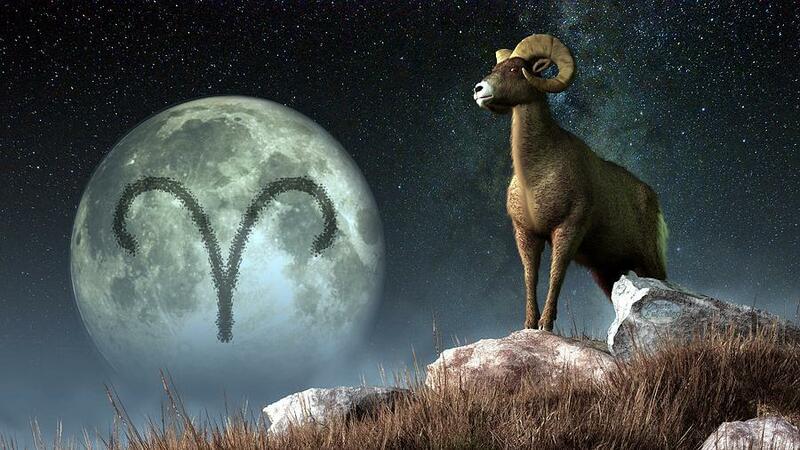 Primarily, the symbol represents the image of the ram, Aries’ ruling animal. 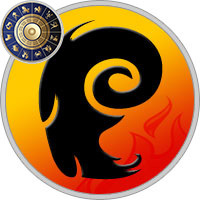 Ram horns are easily identified in Aries’ astrological icon. This symbol is also reminiscent of fallopian tubes, which are essential lady-parts for reproduction. The likeness is neither coincidence nor far-fetched. Aries are extremely creative. Their imaginations are often hugely fertile with new ideas. These sun signs tend to birth new life in the form of adventure, creativity, travel, jobs, and new experiences. As zodiac symbols go, the link between the Aries glyph and a symbol of fertility is a smart match-up. Another visual parallel is of a lunar nature. The two arches of Aries’ symbol can represent the phases of the moon - two half moons, to be specific. These moon phases are bound together by the plunging straight line between them. This represents a few interesting Aries traits. The polar half moons suggest an inherent dual nature, while the straight line indicates a strong will to unify duplicity. Moons travel fast in their cycles - this suggests Aries as a changeable personality....but that broad line between moon phases hints at a need to have a solid direction, a structured foundation, or a strong standpoint in the midst of change. Pretty neat, eh? Fire: What better element to represent this sign of passion than fire!? Like the element itself, the Aries sun-sign personality can be highly combustible. Meaning, beneath that seemingly serene appearance, Aries can burst into a ball of fire the instant they meet with something that kindles their passion. Aries just needs a bit of fuel, and they can spark into amazing creative endeavors. It’s important to note that fire (and fire signs) can’t start a flame all by their lonesome. Nope. Fire needs partners to bring on the heat...like oxygen and fuel to burn. Same goes with Aries. These signs are most potent when they can partner up with like-minds and agreeable environments. When they have all the right ingredients...watch out! These fire-starters can ignite in glorious ways. Honeysuckle: This is the traditional flower associated with Aries. It’s no wonder, because honeysuckle is a mover and a shaker. Never content to sit still, the honeysuckle is a wanderer of the green realms of earth - just as Aries tends to be. Like the plant, Aries will twirl and wind around many different directions in their lifetime. Whether they are curling around a new problem, an idea or twisting into new travel destinations - Aries shares the far-reaching ways of the honeysuckle. Honeysuckle is also symbolic of tenderness, intuition and sensitivity. These traits are Aries’ gifts too, although they might not be the most obvious expressions of the Aries personality. Just like honeysuckle, these qualities are subtle and delicate. Aries are encouraged to embrace the gentle ways of the honeysuckle. It’s a perfect plant to heighten intuition by honing in on the subtle nuances around us. In fact, the honeysuckle is rather like a metaphor for Aries. It can easily become aggressive and consume an entire garden...but it remains delicate and spreads joy with its delicate fragrance. Aries does the same. They can come on strong, but they tend to leave a soft essence of sweetness in their wake. Diamond: They’re not just a girl’s best friend...diamonds are best friends to Aries too. All diamonds will enhance Aries assets, but white diamonds are the most powerful allies for Aries. The clarity of a diamond assists Aries’ often busy mind, allowing them to see clear through confusion or distraction. Like all the zodiac symbols for Aries, the diamond is a metaphor. It’s a super-hard substance, which some Aries’ tend to be on the outside. In spite of a hard surface, Aries (like their birthstone) exude brilliance, beauty and inspire awe. Another metaphor can be drawn between Aries and the diamond. Ever heard of the phrase "a diamond in the rough?" It refers to the raw state of a newly mined diamond. Without chisel and polish, a diamond might not get a second glance. Aries (like all signs) have their flaws. With skill, patience and determination to create a better world for themselves and others - Aries become a magnificently remarkable gem. That’s a hint to never judge an Aries too cavalierly. There are many facets to Aries. No matter if they are rough around the edges, or pristinely polished - Aries offer unique shine to the world. Sheep, but especially the Ram: Sheep and rams in general have a long-standing symbolic history of service and provision. Very often, it’s the same with Aries. Ask an Aries for advice or help on a project they can get their horns into, and they’ll (usually) enthusiastically agree. At their core, Aries genuinely enjoy helping. Being of service renders a sense of acceptance - if an Aries thinks they’re making a difference - they’re golden. There’s some symbolic duplicity with Aries’ animal symbols. On the one hand, sheep are content to follow the heard. On the other, rams can be incredibly strong-willed, refusing to conform with the norm. We see these dualities in Aries too. Most Aries crave (and thrive) to be leaders, juggernauts and pioneers. Yet, many of these sun-signs get into positions of leadership in order to feel safe and gain a sense of belonging (qualities the sheep appreciates).